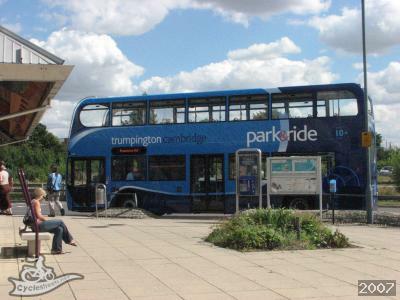 New Park and Ride sites would be created, helping those driving into Cambridge and avoid congestion from such vehicles. Existing Park and Ride sites would be expanded to cater for increased numbers of vehicles stopping there and using the Park and Ride buses to access the city. 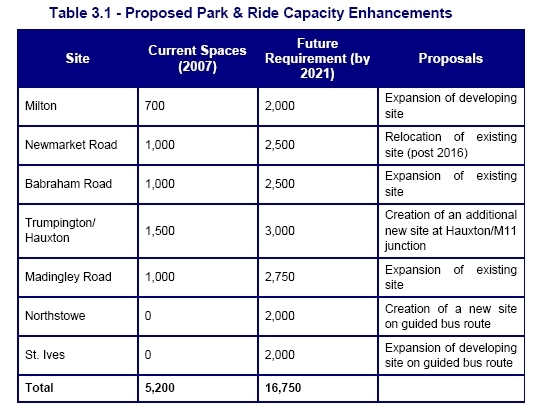 The Council’s documentation [page xi] states there would be a total of “11,000 additional spaces by 2021″.